Madrigal is the Artistic Director of Habana Clásica. 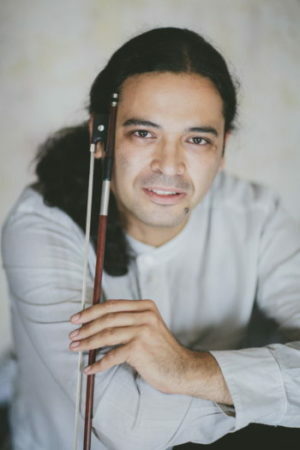 “Gilman is a name to watch,” wrote Classic FM Magazin in 2007, and the Frankfurter Allgemeine Zeitung described him as “an artist who identifies profoundly with the work.” Today Alexander Gilman is among the most renowned violinists and teachers of his generation, and since 2013 has been artistic director of the LGT Young Soloists. Promoting young talent is especially close to Alexander Gilman’s heart. In recent years, alongside his activities as a soloist, he has been able to establish a position as an internationally recognized teacher. The fact that his students regularly win competitions demonstrates the high quality of his teaching work. “The interpretation of music comes from within, and is closely connected with how you live, feel and see life, as well as with the education that you have received,” says Gilman. 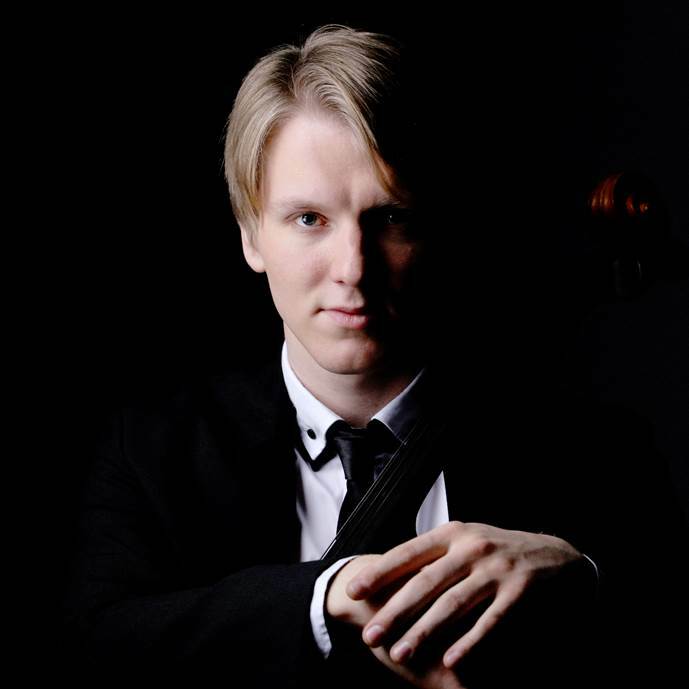 By founding the LGT Young Soloists he has succeeded in founding a unique initiative for promoting talented young musicians and giving them a musical home. Alexander Gilman also holds master classes at universities and festivals worldwide, and is in demand as a juror at a variety of international music competitions. Alexander Gilman was born in Bamberg and grew up in a Jewish Russian family of musicians. At the age of seven he made his debut at the Gasteig in Munich. 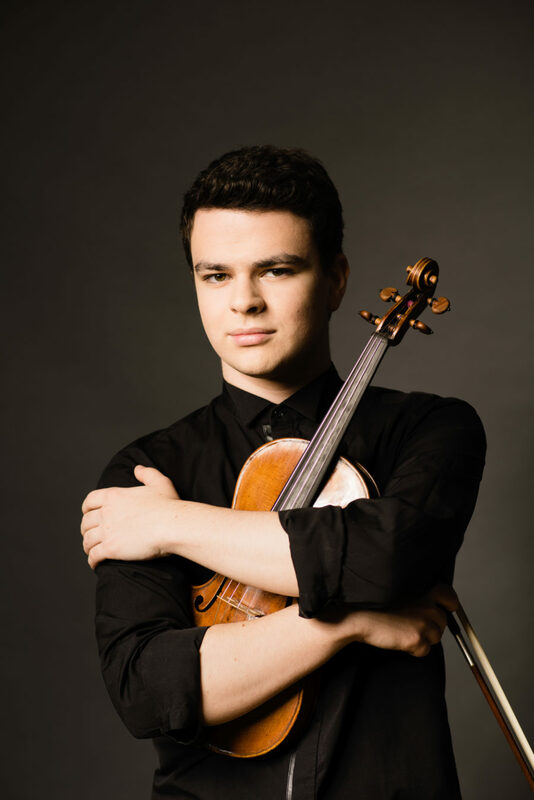 From his sixteenth year he worked with the famous violin teacher Dorothy DeLay at the Juilliard School in New York and attended master classes given by Itzhak Perlman, Aaron Rosand, Igor Ozim, Akiko Tatsumi and Mikhail Kopelman. Alexander Gilman completed his course of study at the Hochschule für Musik (High School for Music) in Cologne in Zakhar Bron’s master class with distinction, and then for his master’s degree moved to the Hochschule der Künste (High School of the Arts) in Zurich, where he also graduated with distinction. Gilman’s career has been marked by the award of numerous prizes at international competitions in Europe and the USA. In 2006 he won the WestLB Music Competition. As part of this award, the Stradivari “Ex-Croall” dating from 1684 was made available to him and presented by Frank-Peter Zimmermann, who had previously played this instrument. 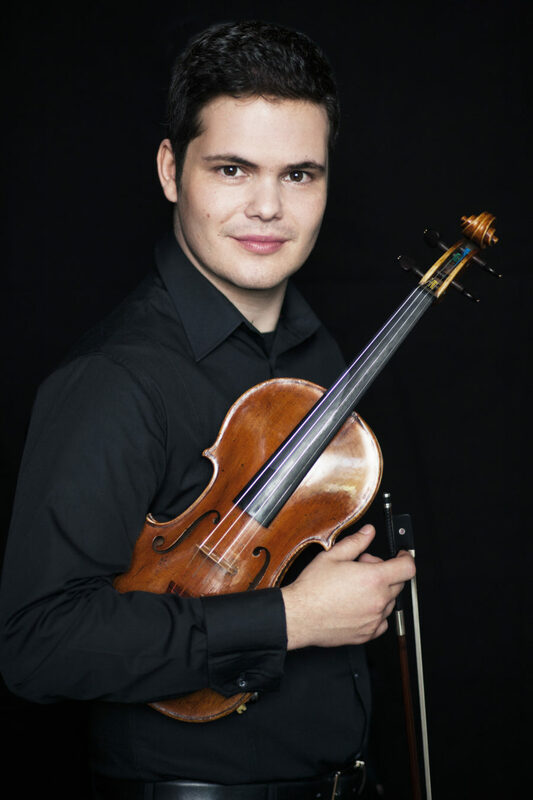 In 2008, as holder of a bursary from the Deutsche Stiftung Musikleben (German Foundation for Music Life) and multiple prize-winner in the competition of the Deutscher Musikinstrumentenfonds (German Musical Instrument Fund), Alexander Gilman received on loan a violin by Giovanni Battista Guadagnini. Alexander Gilman worked with conductors such as Neeme Järvi, David Zinman, Bernard Haitink, Dan Ettinger, Michael Sanderling, Perry So and Conrad van Alphen. His chamber-music partners include Maximilian Hornung, Nils Mönkemeyer, Erik Schumann, Matan Porat and many others. As a soloist and teacher he is a popular guest at international music festivals. For his CD recording with the Cape Town Philharmonic Orchestra conducted by Perry So with violin concerti by Barber and Korngold, Waxman’s Carmen Fantasy and the theme from the film Schindler’s List by Williams, Alexander Gilman was acclaimed in outstanding reviews. For this recording he received the prestigious Diapason d’Or prize and many other awards. Thomastik-Infeld, the maker of violin strings, chose Alexander Gilman to be a Thomastik-Infeld Artist. He plays a violin made by Ferdinando Gagliano in 1795, an instrument that was kindly placed at his disposal by the Fahrenkamp-Schäffler Foundation. 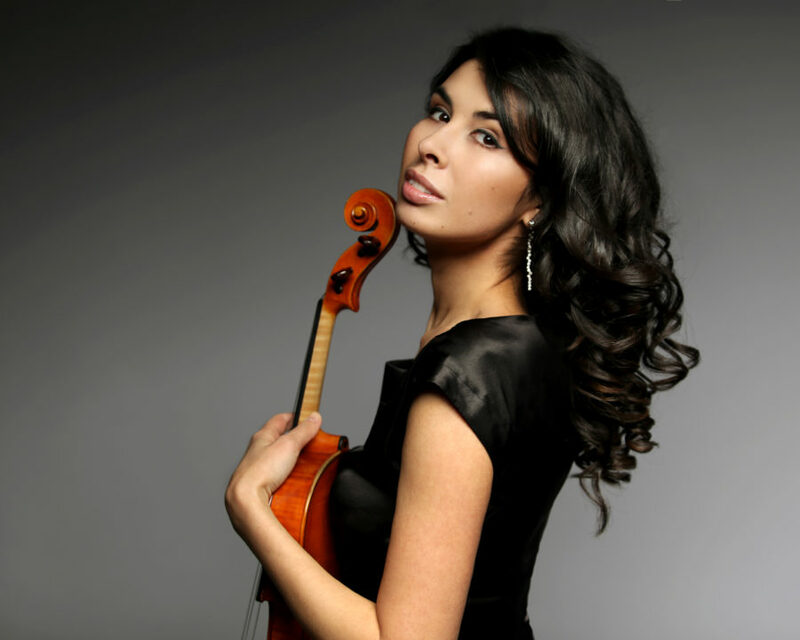 Raquel Castro Pego enjoys a versatile career as a performer and violin pedagogue. In the past year she appeared as soloist with the Orquesta de Cámara Catalana, with the Chamber Orquestra of Havana, with the Orquesta de Cámara Música Eterna. and with the l Orchestra of the Festival Ciudad Monumental de Cáceres. She appeared as guest artist in numerous national and international festivals such as International Music Festival of Aremore, “Vía Láctea” Music Festival, Kfar Blum (Israel),International Festival Terra Magica in Porêc (Croatia), in the Series of concerts Ottagono (Italy), Festival of Olot, Ponte das Artes Festival ( Galicia) , Sonar Festival (Barcelona), Festival Internacional de Panticosa,Cividale International Chamber Music Festival (Italy), Habana Classic Festival ( Cuba), Festival Internacional Ciudad de Cáceres, and she will make her debut this summer in the Luosto Classics (Finland) and in the autumm in the Ciao Festival ( China). 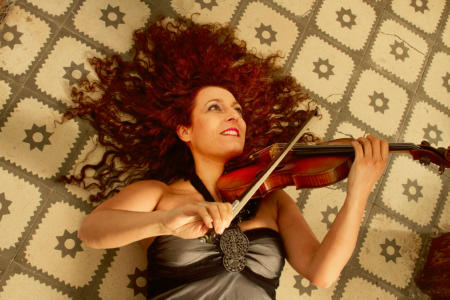 Mrs. Castro, during 2005 and 2006, was the first violin soloist of ENEMC (National Contemporary Ensemble of Spain), where she has performed numerous premieres and performed in Spain’s most important venues. She was featured on “Diálogo coa vida, diálogo de muller “, a TV special on succesful woman in Spain, on channel TVG. She received training in Spain (under the guidance of Lev Chistiakov) and London (Guildhall School of Music and Drama under the guidance of Detlef Hahn). 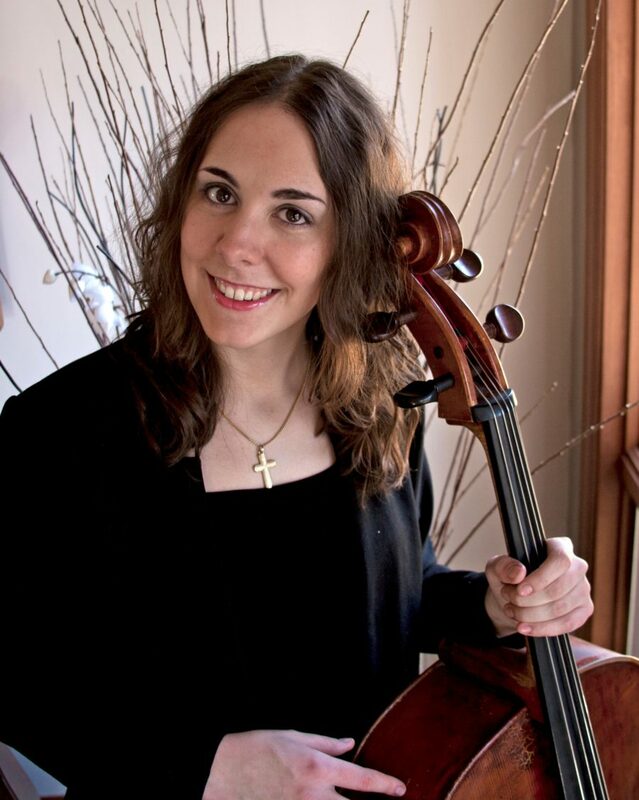 She completed her studies at Indiana University, Bloomington, Jacobs School of Music, and thanks to the help of a Fulbright scholarship, atteined the Masters in Music with honors under the tutelage of Mauricio Fuks. During her studies in Bloomington Mrs. Castro has worked as an Assistant Instructor. Since her graduation, she has been invited as teacher to Indiana University as part of Mimi Zweig´s team in her Summer String Academy, and as a Guest Professor as a substitute to Professor Fuks during a sabatical leave. Mrs. Castro, has gained national reputation as one of Spains leading pedagogue. Her students enjoy national and international success, as prize winners in various competitions, members of important European orchestras, ensembles, and teachers in main conservatories. Mrs. Castro is also working in the formation of teachers in Spain, to cultivate high standard professional teaching at all levels. She has been a guest teacher in “ Conservatorio Superior de Música de A Coruña, “Conservatorio de Grado Professional” in Pontevedra, Ferrol, A Coruña, Málaga, Vic, Vilaseca, Reus, Tarragona and Santiago. She taught Masterclass alongside international faculty at “ Juventudes Musicales” in Igualada, for Garnati Festival in Granada , for the Forum of Orihuela and Summer Courses in Porêc (Croatia ), in Ponte das Artes (Pontedeume ) and International workshops of violin as the Forum Musikae (Madrid), the Forum of Torrelodones and “l’Estate Musicale dell’Accademia” in Bergamo (Italy), Cividale International Summer Course and Festival ( Italy), Festival Internacional de Panticosa, Festival Internacional Ciudad de Cáceres. Since 2004 she is professor of violin at the E.S.M.U.C. in Catalonia. David Nebel, born 1996 in Zürich, started to play violin at the age of five. His technical talent and musicality became apparent very early. A young violinist with promising perspective («Wunderkind mit Zukunftsperspektive») was the headline in the Neue Zürcher Zeitung which reported on David’s first solo concert with the Camerata Zürich. He was 9 and played Vivaldi’s Four Seasons. In 2009 David won the first price (with honours) of the Swiss Youth Music Competition and gave his first recital at the Tonalle Zürich. At that time, David was studying at the Conservatory of Zürich. In the following years, he studied with Professor Valery Gradow at the Conservatorio di Ticino and then with Professor Boris Kuschnir at the Music and Arts University of the City of Vienna and with Professor Yair Kless at the University of Music and Performing Arts Graz. Since 2013 he is studying with Professor Alexander Gilman who is leading the LGT Young Soloists ensemble of highly gifted musicians. David is a founding member of this string ensemble, and is performing as soloist as well as accompanist at its numerous concert tours in Europe and Asia. In spring 2017, David had his debut as soloist at the Cape Town Philharmonic Orchestra with F. Waxman’s Carmen Fantasy. One week later, he played Beethoven’s violin concerto with the Chernihiv Symphony Orchestra in the Ukraine. And the following week he was invited to the Classical Havana Festival in Cuba where he played the violin concerto of Mendelssohn and Bach’s double concert with two violins. David performed as soloist on many famous concert stages, such as Liederhalle Stuttgart, Kulturcasino Bern, Palais Liechtenstein Vienna, Gasteig Munich (with live recording of the Bavarian broadcast), Shenzhen Concert Hall, China Pavillon Shanghai, Cape Town City Hall and Philharmonic Hall of Chernihiv. In 2014, David achieved a remarkable success as youngest prize winner of the renowned Valsesia Musica Violin Competition in Italy. His mature interpretation of the Tschaikowsky violin concerto was widely praised. This was followed in 2015 by a first prize of the Istvàn Kertész competition in Switzerland with a CHF 10’000.- scholarship. In January 2017, he won together with Dusan Kostic the competition of the Radio-Television Belgrade Symphony Orchestra for young soloist with Bottesini’s Gran Duo for violin and double bass. In April 2016, David Nebel produced a CD with the Baltic Sea Philharmonic Orchestra under the baton of the renowned conductor Kristjan Järvi. He recorded the violin concerto of I. Stravinsky and a premiere piece called «Nebula” for violin and orchestra composed by Kristjan Järvi himself. The release of this CD is expected in summer 2017. After the successful production of the first CD of the LGT Young Soloist (Italian Journey), a new CD (Russian Soul) will be published in June 2017, again with RCA Red Seal Sony Music. David recorded Tschaikowsky’s Valse Scherzo op. 23 with string orchestra. David plays on a Giovanni Battista Guadagnini violin (Piacenza, 1746). 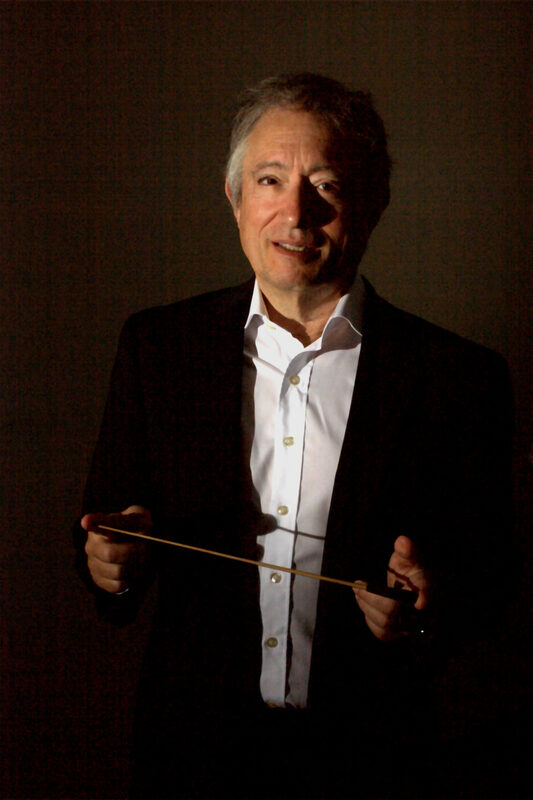 Performer, Composer and Teacher, Yuval Gotlibovich’s artistic activity is varied as it is interconnected. One of the sought after viola players of his generation, He performs regularly as a soloist, (most recently with the Real Filharmonía de Galicia, Orquesta de Cámara Música Eterna, The Israel Chamber Orchestra and the Catalan Chamber Orchestra), as a recitalist and is a regular guest in some of Europe’s main music festivals and venues. As an award winning viola player, He holds first Prizes at the Lionel Tertis (U.K), Fischoff (U.S.A) and ´Aviv´ competitions (Israel). His Debut solo album for NAXOS with the viola music of Spanish Composer Ramón Paus in the first month of it’s Launch (December 2016) was ranked 6 in the labels top chart sales worldwide and received critical acclaim. As composer His Arrangements of Bach’s Goldberg Variations in different musical styles are featured on a Sony Album with Trio Garnati. This coming year, his sonata for viola and piano will be premiered at the Tokyo Opera House by Nobuko Imai and Izumi Tateno. Also to be premiered this year, 3 pieces for cello solo (by Erica Wise) and quartet for two winds and two strings at the Luosto Music Festival in Lapland. A passion for combining performance, composition and improvisation, has led to the creation of original live music that accompanies films of the silent era. This live show was presented in cinema and music festivals in Finland, Germany, Belgium, France, Italy, Spain, Israel and Slovakia. Gotlibovich is teaching in Switzerland and Spain and has been the youngest Professor on the faculty of Indiana University. His main teachers include Atar Arad, Anna Rosnovsky and Lilach Levanon. Gotlibovich is the artistic director of the new festival “Ciudad Monuental de Cáceres” in Spain. Marina Seltenreich is co-founder of the LGT Young Soloists. She was born in Saint Petersburg in Russia, and first took piano lessons at the age of six at the art school for gifted children in Saint Petersburg. At the age of 15, Marina Seltenreich moved to Germany and graduated with distinction at the Hochschule für Musik (High School for Music) in Cologne in Prof. Karin Merle’s class. This was followed by two master’s courses, also completed with distinction, at the Musikhochschule Mannheim in the class of Prof. Ragna Schirmer and Prof. Paul Dan. She received additional musical impulses from professors such as Arbo Valdma, Karl-Heinz Kämmerling, Vladimir Krainev Anthony Spiri and Sorina Aust-Ioan. As a pianist Marina Seltenreich regularly performs both as a soloist and in chamber music in major concert halls and at international festivals. Numerous tours have taken her across Europe, Asia, the Middle East, Australia, North America and South Africa. Her concert performances have been captured on a large number of radio, television and concert recordings, with broadcasters such as Bayerischer Rundfunk, WQXR New York, Rai Italia and NHK Japan. Chamber music is particularly important to Marina Seltenreich. As a partner in chamber music and répétiteuse she has worked with renowned artists including Nils Mönkemeyer, Zakhar Bron and Franz Bartolomey. With her duo partner Alexander Gilman she has played works by Brahms, Prokofiev and Wieniawski, and received outstanding reviews for her CD that appeared on the OehmsClassics label. The Süddeutsche Zeitung attested her “rare perfection, sinuous articulation, beauty and clarity.” For years Marina Seltenreich has been répétiteuse in Alexander Gilman’s master class and accompanies his students across the globe at concert performances and music competitions. 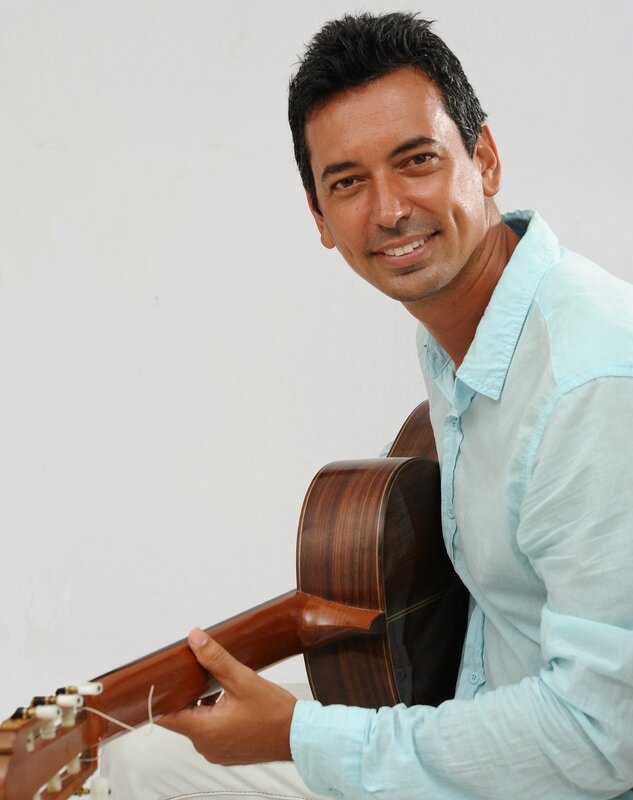 Acclaimed by the critics, Josué Tacoronte, guitarist, composer and musical arranger was born in Havana, Cuba on October 17, 1977. He began his musical studies at the age of six with the piano teacher Antonio Penalver. At the age of ten, he enrolled in the Guillermo Tomas Conservatory of Guanabacoa, receiving his first formal classical guitar lessons by Rosario Castro. He continued his higher guitar education at the Amadeo Roldán National Conservatory graduating in 1996, under the tuition of professor Roberto Kessel. As a student he won four national contests at the Amadeo Roldán National Conservatory and received the first place for Best Interpretation at the Guillermo Tomas Contest. Since then he achieved a highly successful performance career. In 1997 he ventured out into playing Spanish flamenco guitar working as a composer, music director and musical arranger at the Spanish Ballet of Cuba, and Aires Flamenco Company in Havana, Cuba; also In Mexico, with the Ballet Español Proart (2001-2010), Cale Bari, and Mexico Flamenco (2011-2013). During this time he attended a number of master classes both in Mexico and abroad with outstanding teachers such as Leo Brouwer, Jesus Ortega, Sergio Morales, Esteban Campuzano, Jorge Luis Garcel, Jorge Luis Zamora, David Russell and Costa Coscioli, as well as flamenco guitarists Antonio Rodriguez, Pedro Sierra, Paco Jarana, Jesus Torres, José Luís Rodriguez, Eduardo Rebollar, Pedro Sanchez and Antonio Rey. One of his most important musical achievements has been his consistent contribution on research, musical arrangements, performance and recording of the Cuban guitar repertoire that includes pieces by composers such as Leo Brouwer, Ernesto Lecuona, amongst others, crossing over into other genres such as flamenco without losing Cuban essence. 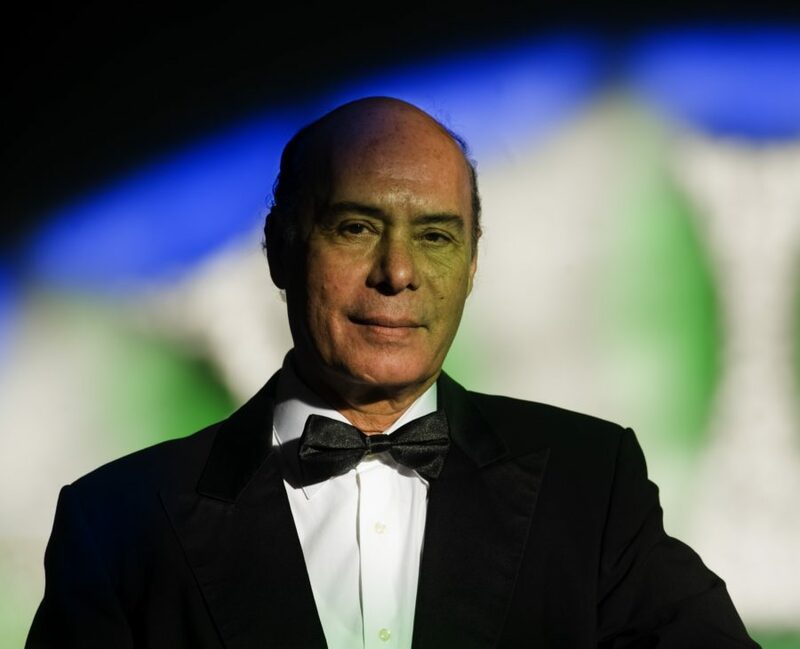 In 2007 he recorded his first album “Josué Tacoronte y Skpao” with original music that took him back to performing again in Cuba. In 2010 he released his second album “Mexico Flamenco “. And in 2012 he recorded “Brouwer Flamenco” produced by Leo Brouwer itself and for which he was awarded “Best Concert Interpreter” at the International Festival CUBADISCO Awards, in May 2013. He has given several guitar recitals in different concert halls and main theaters of Cuba. His performances have also taken him to countries such as Spain, Argentina, USA, Switzerland, Austria, Morocco, France, Dominican Republic, Peru and Mexico. He has performed at Leo Brouwer International Festival of Chamber Music (2012-2013-2014), Havana´s International Book Fair (2013), Dominican Republic International Book Fair (2013), International Guitar Festival of Lima- Peru (2012), International Guitar Festival of Arequipa (2012), IX CUBADISCO Festival (2013), International Guitar Festival of Paracho (2013), Iberica Contemporanea (2008-2009-2010), Festival International Cervantino (2008), Zacatecas International Music Festival (2008), International Guitar Festival of Zihuatanejo (2013), International Guitar Festival of Puebla (2012), International Guitar Festival of Ensenada, Mexico (2013). Festival International of Guitar Winterthur, Suiza (2014). XI Festival International of Guitar Querétaro, Mexico (2014-2015). Guitar Days in Valencia Spain (2014). Guitar Festival AMBACH in Goetzis, Austria (2014).International Guitar Festival “Sin Fronteras” Chihuahua, México (2015), Internacional Guitar Festival of Salamanca, Mexico (2015). 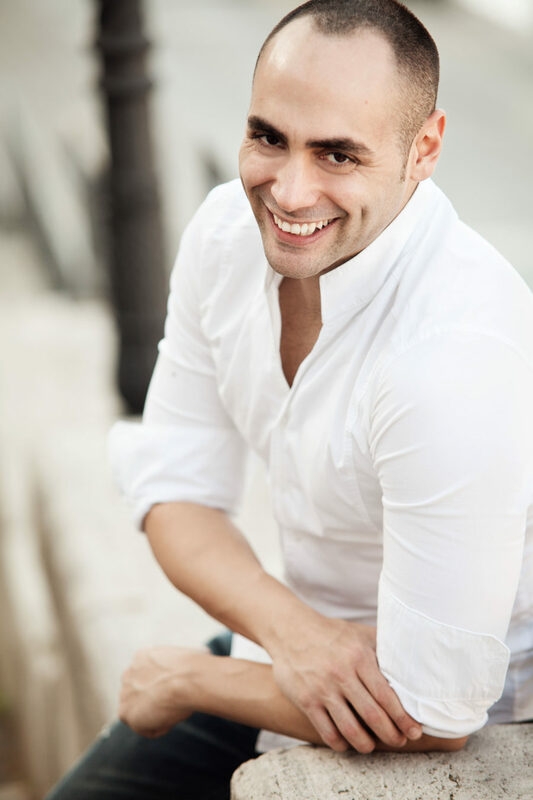 As a soloist, he has performed in Cuba with the Havana Youth Orchestra and in Mexico with the Queretaro Philharmonic under the baton of directors Jorge Lopez Marin and Esperanza De Velasco. He has shared the stage with main artists of different backgrounds and genres such as: Juan Falu (Argentina) Berta Rojas (Paraguay) Niurka Gonzalez (Cuba) Edwin Vichot (Cuba) Ricardo Gallen (spain) Manolo del Valle (Cuba) Liuba Maria Hevia (Cuba) Adrian Lopez Nussa (Cuba) Compañía de Danza Contemporánea “Retazos” (Cuba) Havana Compas (Cuba) Conjunto Folklórico Nacional (Cuba) Rubén Gonzalez (Cuba – Dominicana), Silfredo Perez (Venezuela – Austria) Erika Escriba (Spain) Jose Luis Lara (Venezuela), Carlos Piñana (Spain) Joaquín Grilo (Spain) Diego Garcia (Spain) Juan Pinilla (Spain) Manolo Marin (Spain) Magela Oquendo (Cuba) Marcel Ege (Switzerland) Duo Agogo (Australia) Boris dias (Cuba- Mexico) Ignacio Perez (España), Diego Castro (Argentina), Arina Burceva (Ucrania), Paul Pigat (Canada) David Bedoya (Colombia) amongst others; and has taken part in recordings by Liuba María Hevia (Iluminame), La Boquita (Puntos suspensivos), Ragazzi (Que quede claro), Rosa Rodriguez (Alegría) etc. 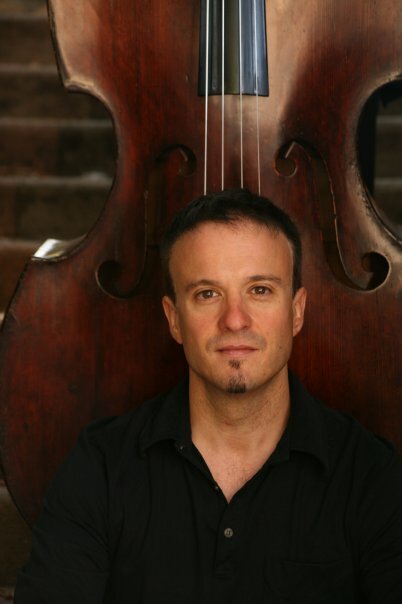 Tacoronte has been a member of the jury in several international guitar competitions and has given a number of workshops and master classes in several International Guitar Festivals, Music Universities and Conservatories. He performed as a guitar instructor at Centro Proart (2001-2010), Instituto Tecnológico de Monterrey Campus Querétaro (2003- 2004) and currently performs at the Ensamble Music and Dance Academy as Director. He founded the Cultural-Ensamble Festival in Queretaro, México, now on its fourth edition. He is an active member of The National Union of Writers and Artists of Cuba (UNEAC). The Cuban Association of Musical Author’s rights (SGAE). Alhambra Guitar, using new model flamenco guitar (Mengual & Margarit). From 2000 until 2013 Ms. Garcia worked as an assistant to the Youth Symphony Orchestra of the Conservatory Amadeo Roldán in Havana, and she directed the conservatory’s Chamber Orchestra from 2002 to 2008. With both ensembles she appeared in the most important venues in the capital, recorded for television programs, and participated in numerous festivals. From 2006 to 2008 she served as deputy director of Cuba’s Symphony Orchestra of Camagüey. 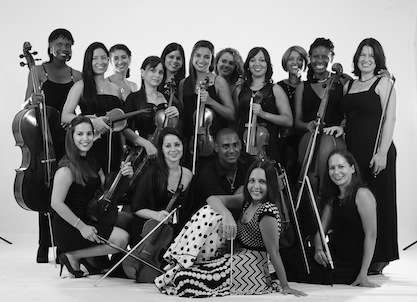 Ms. García has conducted the National Symphony Orchestra of Cuba (NSOC) annually since 2004. 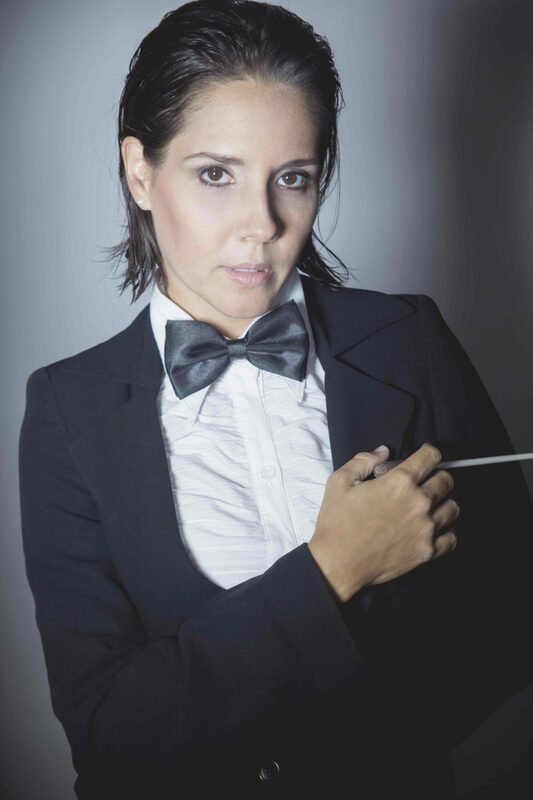 She shared the podium with Chief Conductor Enrique Pérez Mesa during a national tour celebrating the orchestra’s 50th anniversary, and was named assistant conductor of the NSOC in 2015. Elsewhere in Latin America, Ms. Garcia has conducted Chile’s Symphony Orchestra of Concepción (2006); Metropolitan Youth Symphony Guatemala (2007), and Philharmonic Orchestra of Caracas (2011). Born in Havana, she began studying Spanish Dance in the Spanish Cultural Society “Centro Andaluz” (Andalusian Centre) of Havana. Within months, she began of the record, and as “an exceptional case” to take classes with the professional company Ballet Español de Cuba, since her talent was remarkable in spite of being a young girl. In 1993, she is admitted at the National Academy of Spanish Dances sponsored by this company. In Cuba, she has performed in the main theatres through the island, and she has been interviewed for many radio and TV programs, as well as written or digital press, both in Cuba and abroad. As for international tours, she has performed with the company Ballet Español de Cuba and also as a soloist in the most prestigious theatres in Barcelona and Granada (Spin), Andorra, Colombia, Guatemala, and Mexico. She has worked simultaneously as a dancer, professor, reggiseur, and choreographer in the Art and Teaching Unit of the Ballet Español de Cuba that is part of the National School of Arts (ENA), and in the National School of Arts (ENA) in the specialty of Ballet. For several years, she has taught dancing in Mexico during summer courses of the PROART Academy of Santiago de Querétaro where she has also performer as Qualifying Jury. 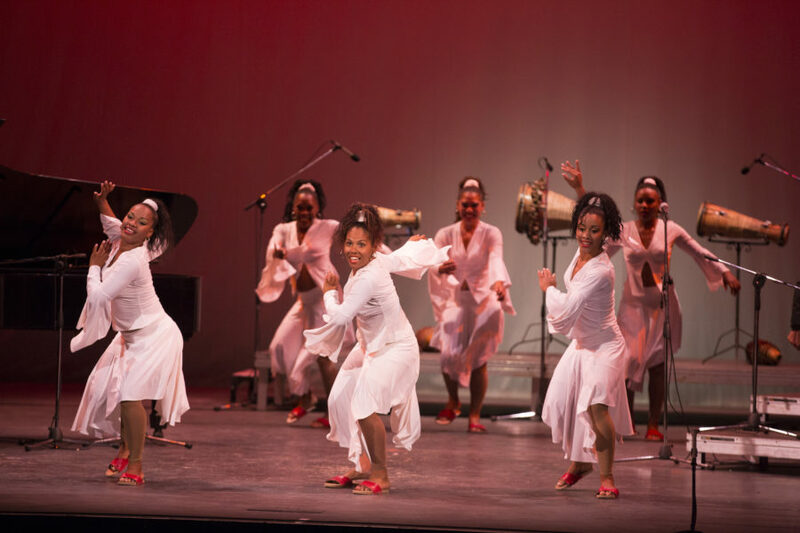 Her work as a choreographer includes many acts that have been performed by the Ballet Español de Cuba, as well as choreographies that are part of plays presented by this company. 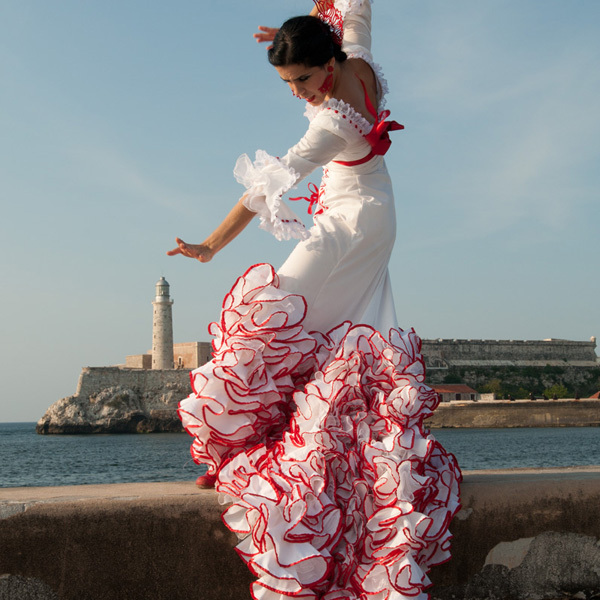 Among her most recent choreographies, there are “Suite del Sombrero de Tres Picos” (Classic Spanish Style), “Al-Ándalus” (Flamenco) and the play in two acts “EMIGRANTES” (EMIGRANTS) showing various styles such as Afrocuban dances, neoclassical, and flamenco. We shouldn’t fail to mention that all have had great reviews and audience acceptance. In July 2009, she toured in Mexico as a guest artist of the Spanish bailaora María Juncal with the show “Tercera Llamada”, and in 2010, she danced in the Festival Cuna del Flamenco (Cradle of Flamenco) in Granada, Spain. In January 2012, she founded her own company: Compañía Irene Rodríguez, with the best reviews from the start. Obini Bata, folklore female band unique of its kind in Cuba, was created in June of 1994 by the first “bataleras” of Cuba. These women faced the existing taboo and the difficulties resulting from the presence of females in the musical performance with a folklore percussion set, specifically with the bata drums band. These instruments are closely related to all our music, providing a contribution to musicology and to the development of Cuban popular traditional music, as well as to dance and theater, since their sound is heard in shows where all theses specialties are mixed, and where the importance and strength of women in the country’s cultural and artistic process is present, as well as their emancipating character. Obini Bata is formed of highly qualified women, coming from higher and middle levels of the art schools, with great vocation and respect for what they do. They maintain a research and technical-professional work to achieve a level of performance on stage, in accordance with the folklore stage they are in. They are directed by MSc. Eva Despaigne, who has a vast experience and years of work in the art area, as a dancer, musician, singer, director, dance maître, professor, and advisor in Cuba and abroad. With an intense energy on stage, they do a great show in which they combine dance, percussion and singing, presenting a wide panorama of our folklore or popular-traditional music. They offer different dance genres, such as afro and all related to it, the rumba complex (yambu, guaguanco and Columbia), chacha, danzonete, mambo, son, guarachas, conga and comparsas, as well as the chancleta dance, all together with the folklore percussion set and oral expressions like cries, sayings and tongue twisters, expressions our Cuban character, in a proposal of live interaction with the audience. These artists are also prepared to offer music, dance and percussion workshops in this trip through the Cuban music, if there is the possibility and interest in doing that; they can also give lectures on these topics. Obini Bata has remain in the cultural and artistic avant -garde of the country, accomplishing not only the objectives for which it was created, but also the responsibility of representing our culture internationally in Latin America, the Caribbean, Europe and Africa, showing its quality, versatility, skills and Cuban origin.